What was the history of Aisha's family? She seemed to have ties to Stone Canyon, Old West Angel Grove, and Africa. How exactly did Aisha change her family's history? Which other Rangers did Aisha meet? What happened to Aisha? Did she continue to live in Ashalla's village? 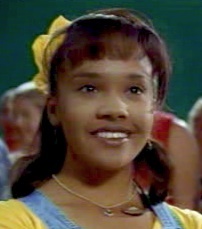 Shortly after transferring to Angel Grove High School9, Aisha was chosen to replace Trini as the Yellow Mighty Morphin Ranger10. 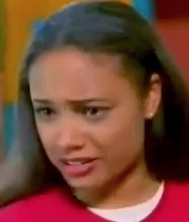 Aisha's tenure as Yellow Ranger continued as the team switched to Ninja power11. During the Zeo quest, young Aisha discovered the yellow Zeo Subcrystal in Ashalla's camp, which was threatened by an animal plague; by sending Tanya in her place and remaining to help the animals, Aisha reportedly "altered the course of [her] family's history"12. She was later seen reuniting with Ashalla in her teenage form after time had been restored13. Tanya eventually received a package from Aisha; within was a key and map which Ashalla indicated had belonged to Tanya's parents14. On her Zeo quest (said to be "a quest for [her] roots"15), Aisha found herself in what resembled some portion of Africa home to African lions16. The show divulged no further specifics. Within season 2, Aisha transferred from Stone Canyon High to Angel Grove High17. Aisha had reportedly known Stone Canyon High student Shawna since the first grade18. She was also unknown to Bulk and Skull in their youth19. Aisha's great-great-great-grandmother (one of them, anyway) lived in Old West Angel Grove20. Aisha spoke of her great aunt Ashalla, apparently intending to suggest a connection to the Ashalla of Tanya's camp; Aisha's changes to the past also reportedly caused her "family" (no specifics known) to join her once time was restored21. "Aisha, your decision to remain has altered the course of your family's history, and you will find that they have joined you when the world is returned to the future." Although the jumping-off point for the Zeo quest was a time-regressed Earth (see Orb of Doom), were the time periods visited by the young Rangers also time-regressed? What year should we say young Aisha was visiting when she decided to stay? (This is also discussed on Tanya's page.) What does it mean that Aisha's transmission to the Command Center reportedly came through a "time hole?" When the Zeo Crystal dispelled the Orb of Doom's time reversal, in what manner did it re-age Aisha? What does it mean that Zordon wanted to verify at this point that Aisha had "made it through the transition safely?" Were Ashalla and her fellow villagers re-aged as well? From their point of view, how long did Aisha appear to have been gone during her trip to send off Tanya? Under what circumstances did Aisha's presence in the camp lead family members to join her? Were certain relatives initially absent from the camp but later able to join her once the animal situation had stabilized? Specifically which family members joined Aisha after time was restored? Did this include her parents (who had been seen living in Angel Grove in season 323)? Supposing her parents no longer lived in Angel Grove during season 3 after history was altered, what affect would this have had on Aisha's own history? 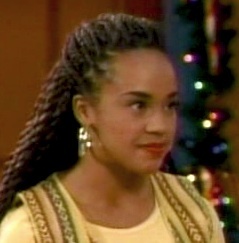 Would anyone have remembered Aisha attending Stone Canyon High or Angel Grove High? With whom would Kimberly have stayed while her own mom was in France24? 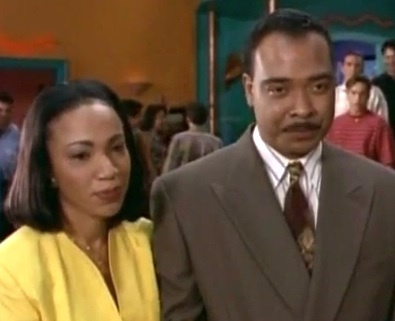 Without Aisha, who would've replaced Trini as the Yellow Ranger? Can we conclude anything from Yellow Ranger Aisha later being included in Tommy's video diary25? Aisha, Rocky, and Adam were allies to the original Mighty Morphin team (including Jason, Trini, and Zack)26 prior to becoming Rangers themselves. 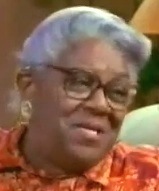 Aisha served alongside Rocky, Adam, Tommy, Billy, and Kimberly27, and later Kat28. She personally met and corresponded with Tanya29. Aisha also interacted with the Alien Rangers30. Unspecified; she at least appeared to be in communication with Ashalla circa Zeo (in order to mail artifacts passed on by Ashalla)31. 11. Ninja Quest, et al. 27. The Power Transfer, et al. 28. A Different Shade of Pink, et al. 30. Alien Rangers of Aquitar, et al.